The cat, I suppose, is me. J. and I are TAKING A VACATION. I’ll pause sufficiently for the collective gasp. This will be the first actual, bona fide, grown-ups-going-somewhere-awesome-for-a-period-of-time-just-for-the-hell-of-it vacation that we have taken since our honeymoon. We have neither the time nor the disposable income, generally, to indulge in travel; but I guess the gods of adventure are smiling upon us, because for a change, stuff worked out. So the meal plan? Easy-peasy. With L. responding beautifully to the reintroduction of gluten and casein in his diet, and only three real weeks to worry about this month, I whipped this one up pretty quickly. The only real challenge was thinking about how to plan for reacclimating to life once J. and I return from our trip. Two things you’ll notice on this month’s plan: 1) We’re eating a lot of fish! Our CSF (Community Supported Fishery) membership begins June 2, so for the foreseeable future, at least 2 dinners per week will be local seafood that we’ll pick up at the Farmer’s Market. 2) Now that I’ve had the questionable privilege of experiencing how challenging it can be to work within a gluten-free framework, I’ll be noting on meal plans how to tweak each menu to make it gluten-free. If there’s no note, then the meal is already GF. Let me know what you think about this, since it’s an experiment — but I thought it would be nice to be as inclusive as possible for all those out there who are trying to find meal-planning inspiration without wheat. GF substitution: If you don’t want to use GF bread/tortillas/waffles, you could make things simple by doing meat and veggie roll-ups; OR you could make potato pancakes and top them with your favorite sandwich fixings. Saturday, June 2: Fish supper. Something like this, maybe? GF substitution: Make your bechemel sauce with either gluten-free all purpose flour or millet flour. Monday, June 4: L.’s Pre-K graduation is tonight! 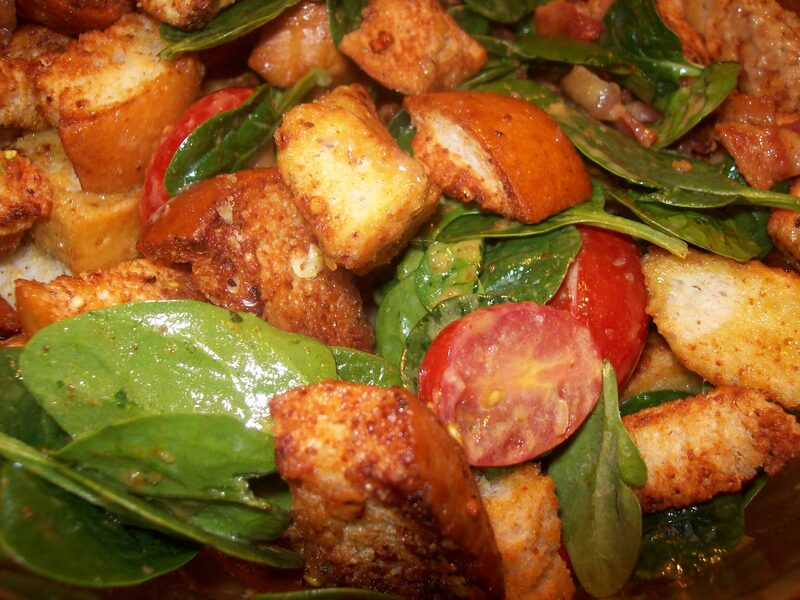 (*snif*) We need to have a quick make-ahead supper, so I’ll have BLT Panzanella, fruit, and roasted veggies ready to go. GF substitution: You can make panzanella with cornbread croutons — cornbread is easily made with masa flour in place of any wheat flour that might be in the recipe. Alternatively, use brown rice pasta and make the salad with that instead. Wednesday, June 6: Fish again. GF substitution: Make my GF crepe recipe. GF substitution: You can make great meatballs with pure rolled oats that are pulverized in a blender instead of using breadcrumbs. GF substitution: If you want to make breaded cutlets, pulverize 2 parts air-popped popcorn and 1 part pure rolled oats in a food processor or blender to use as the breading mixture for chicken. Saturday, June 16-Saturday, June 23: Vacation for me and J.! Sunday, June 24: I’ll have stashed some meatballs in the freezer from our June 13 dinner. We’ll heat those up and have some salad and cheese to re-enter reality S-L-O-W-L-Y. GF substitution: We like Jovial brown rice pasta just as much as we like any traditional wheat-flour pasta. 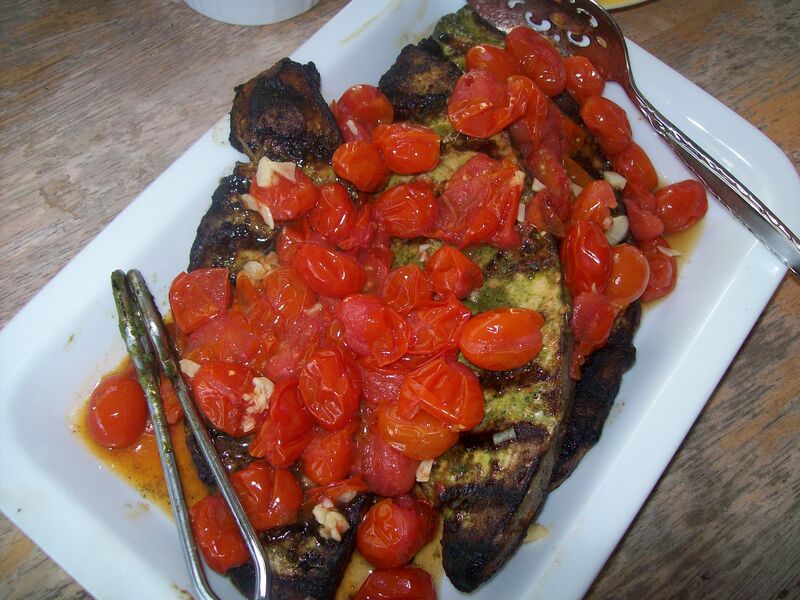 Saturday, June 30: Back to the Farmer’s Market after our vacation — and back to fish! 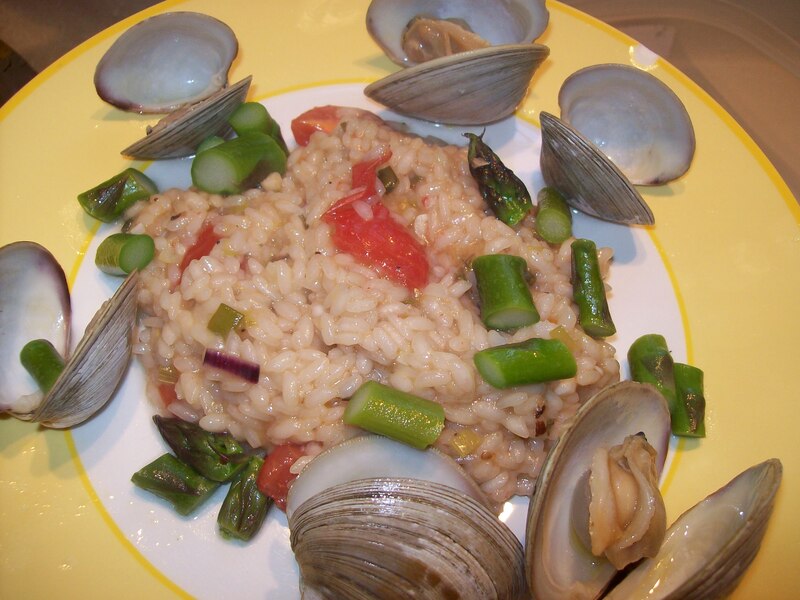 This entry was posted in Cooking, Feeding kids, Meal planning, Parenting and tagged cooking, family, Farmer's Markets, feeding kids, food, gf diet, gluten, Household organization, kids' health, leftovers, meal planning, milestones, parenting, recipes. Bookmark the permalink. Have a great trip! It is so important to nurture ourselves as well as our kids!